Strategies on how to tackle the health sector challenges formed the fulcrum of the Nigeria Value for Money in the Health Sector Workshop, with the Minister of Budget and National Planning, Senator Udoma Udo Udoma assuring that it would prioritize health expenditures in 2019, despite insufficient revenue. The minister gave the assurance in Abuja on Tuesday, also said the government was working assiduously to improve the country’s mortality rate, which he said was frighteningly among the lowest on the continent. According to him, N43.5 billion has been set aside for routine immunisation for 2019. He stated that the dip in crude oil price and occasional disruption in production have further shrunk the nation’s fiscal space such as the funds that ought to buoy heavy developmental projects have been slashed. 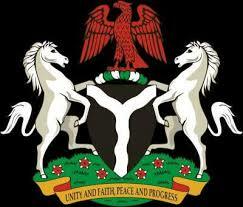 He said: “The present administration came to meet a very constrained fiscal space. Revenue dropped from N10.07 trillion in 2014 fiscal year to as low as N5.68 trillion in 2016. Even though it recovered somewhat to N7.17 trillion and N9.17 trillion in 2019 and 2018, it is still low compared to the amount in 2014,” he said. Udoma also revealed that dwindling donor funding has further compounded the existing challenges, especially as the country transitioned from a poor country to a developing economy. The minister maintained that it would channel higher funds to the health sector, regardless of the government’s tight revenue inflow. He noted that the Federal government was collaborating with state and local governments to guarantee maximum value for whatever funds is pumped into the sector. In his presentation on reprioritizing Health in the National Budget the Director-General Budget Office of the Federation, Mr Ben Akabueze, said there was a need to upscale allocation to primary health care just as he called for equity in the allocation of funds to different areas in the sector. To turn the tide around, he said the country much seek ways to attract other sources of funding to support the budget.